Statcast is a revolutionary tracking technology developed by MLB Advanced Media, gathering and displaying aspects of the game that were previously immeasurable. The system collects the data using high-resolution optical cameras and radar equipment that have been installed in all 30 Major League ballparks. 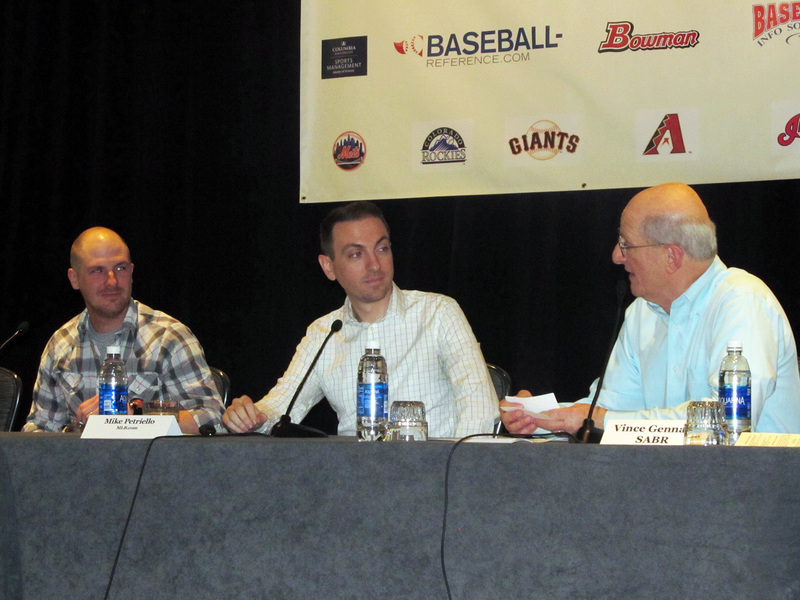 At the 2016 SABR Analytics Conference on March 11, 2016, Daren Willman of MLBAM and Mike Petriello of MLB.com talked about the new technology that precisely measures the positions and movements of the ball and every player on the field, introducing fans to a whole new generation of stats such as Exit Velocity, Launch Angle, Route Efficiency, Top Speed and more. WHAT’S MISSING FROM STATCAST DATA? This page was last updated March 18, 2016 at 12:30 pm MST.